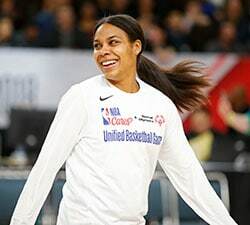 The Washington Mystics announced that free agent guard Natasha Cloud has re-signed with the team. Cloud is coming off her best season as a professional where she was a candidate for Most Improved Player of the Year. During the 2018 season, Cloud improved in every statistical category including minutes per game (26.5), points per game (8.6), assists per game (4.6), field goal percentage (43.6), three-point field goal percentage (38.6) and free throw percentage (77.8). 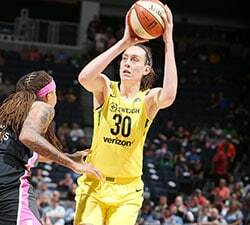 In 2018, Cloud helped Washington to their first WNBA Finals appearance where she averaged 8.2 points per game, doubling her output from the 2017 playoffs. 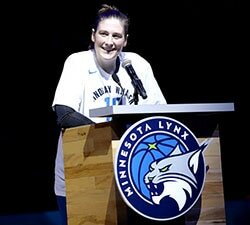 She also grabbed 3.4 rebounds per game and 4.1 assists per game. Washington selected Cloud in the second round (15th overall) of the 2015 WNBA Draft. A 6-0 guard from St. Joe’s University, Cloud earned numerous honors, including Atlantic 10 All-Conference First Team and All-Defensive Team selection and as a junior was named the Atlantic 10 Defensive Player of the Year. That same year, she set the school’s single-season record for assists (243) and now ranks third on St. Joe’s all-time assists list (563). During the 2014-15 season, she was second nationally among active players in assists per game (6.22).